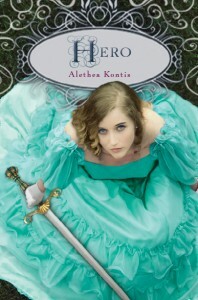 You want a copy of HERO *waaaaay* before October? GO GET IT. AND HELP A GOOD CAUSE. About HERO: Rough-and-tumble Saturday Woodcutter thinks she’s the only one of her sisters without any magic—until the day she accidentally conjures an ocean in the backyard. With her sword in tow, Saturday sets sail on a pirate ship, only to find herself kidnapped and whisked off to the top of the world. Is Saturday powerful enough to kill the mountain witch who holds her captive and save the world from sure destruction? And, as she wonders grumpily, “Did romance have to be part of the adventure?” As in Enchanted, readers will revel in the fragments of fairy tales that embellish this action-packed story of adventure and, yes, romance. Beginning on April 25th, 2013, The Write Stuff for Boston auction will be held to benefit the victims and families of the Boston Marathon bombings that happened April 15, 2013, with all proceeds going to The Boston First Responders Fund and The One Fund. This tragic event took the lives of 4 people and injured over 177 others (these numbers include Officer Sean Collier of the M.I.T. Police and others injured during the massive manhunt that followed). As a born-and-raised Bostonian, I could not sit idly by while my home was rocked to its core. So with the help of some wonderful people, I put the word out to fellow writers/authors, agents, editors and artists to collect donations in order to raise money for these worthy causes. This auction could not of happened without these incredible people, and I’m forever grateful to each and every one of them (and to each bidder, as well). Together as 1, we are BOSTON STRONG. Find out more about Write Stuff for Boston HERE. This entry was written by Princess Alethea and posted on May 2, 2013 at 12:16 am and filed under Hero. Bookmark the permalink. Follow any comments here with the RSS feed for this post.